Happy Friday everyone!! Woohoo, doing the Friday dance!!! This week I'm so happy to feature Sujata of The Root Connection. Sujata is one of those people who makes me so thankful I discovered blogging. She inspires me and makes me smile. For those of you who know Sujata you'll enjoy getting to know her better and those who haven't seen her amazing quilts you're in for a treat!!! Originally from India, I moved to the United States in 1986. I have always loved textiles. Growing up in such a diverse country has left quite an influence on me. I love any kind of crafts and any thing hand-made. 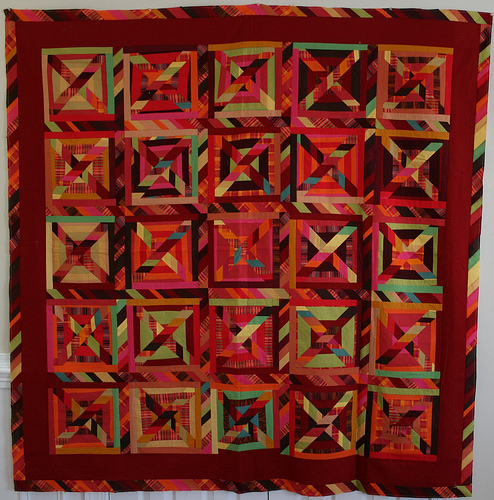 I took my first quilting class in 1992 but got addicted to the hobby after moving to Seattle in 1998. Nothing glamorous... I am afraid. I don't know if it was limited bank balance or cooler Seattle weather and the need of cozy covers. Whether it was lots of leftover fabrics from my previous doll making hobby or a challenge to myself if I could sew a bed size quilt. Or a visit to the local library with a friend and browsing through the books on quilting. I honestly can not think of just one single incident that triggered the process. I love oddly mixed colors, all sorts textures and prints and to be able to work with fabric as if they were paints and my design wall was canvas. I am amazed at the art of knitting and weaving. Yards and yards of strings and thread can be made in to a garment is quite impressive to me. 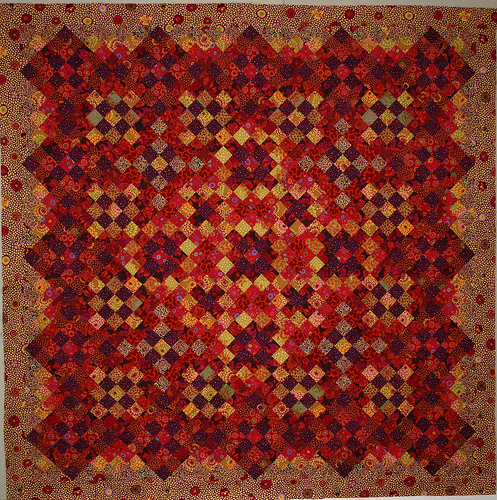 I think quilting is sort of the same thing, only in reverse. To take hundreds of pieces and fragments of all sorts of fabrics and sew them in one piece in an artistic way is so entertaining. It never gets old! 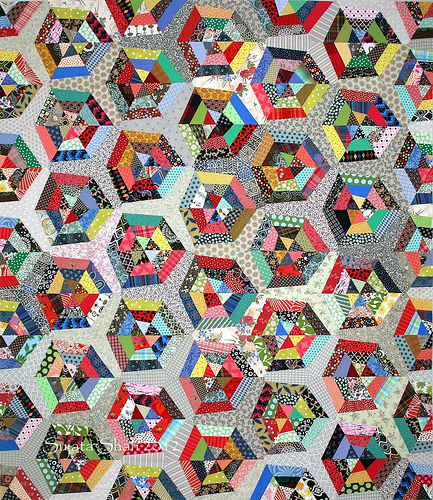 I also love the fact that quilts document our lives as we make them. Whether it is labeled or not, we all know exactly what was happening in our lives when we were working on that quilt. It is fascinating to me that I look at some of my quilts and get transported back in time within seconds. Sad moments, happy times it does not really matter, they all gets stitched into it. May be that's why I love hand quilting too. It calms me down and soothes my soul. I bet you have heard this before. I don't like basting at all! I am currently using a Viking Mega Quilter. It only has one stitch. It works great. I also have a 730 Bernina in a box.. Still brand new and waiting for it's turn to be loved.. One of these days it will see the light of day. I listen to TV and make sure that the world is doing alright while I am sewing at the kitchen table. For some reason, my sewing machine and music systems don't get along in the sewing room. LOL! I like it quiet if I am working on a design wall. I find it less distracting. I have several bird feeders and the birds keep me entertained with their chirping and singing. While the squirrels and chipmunks always keep things interesting. When I selected the fabrics, I was thinking of your exuberant personality I have come to love. I always imagine fire works and beautiful paintings all around you. The garden outside your door must always bloom with happy energy. I knew somehow I was going to say all that in this block. I hope you like it. Thank You Sujata!! I love this block!!! It so alive with movement and colour. The river running in front of the house is reflecting the wonderful colours in the sky. As soon as Gbf saw it he said there were fireworks in the sky! And how welcoming is the polka dot door, it's all so much fun!! Go and visit Sujata's blog The Root Connection, there is the sweetest post about a frog in her garden at the moment. 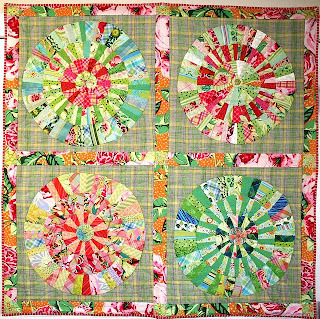 Basket Full Of Scraps is another blog Sujata started for quilters to share their scrappy projects, It's always worth a visit. I just hope we get to sew with our bags of scraps in real life one day! Sujata has a very vibrant and lively style! I love her baskets and the circles! And her house is fabulous! Off to visit her! Belle le trapunte che ci mostri questa settimana! What a great profile. 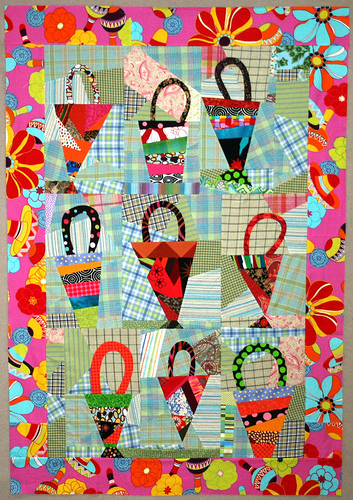 I love the basket quilt. So wonky! Use of colour is a delight. Thanks Rachael. 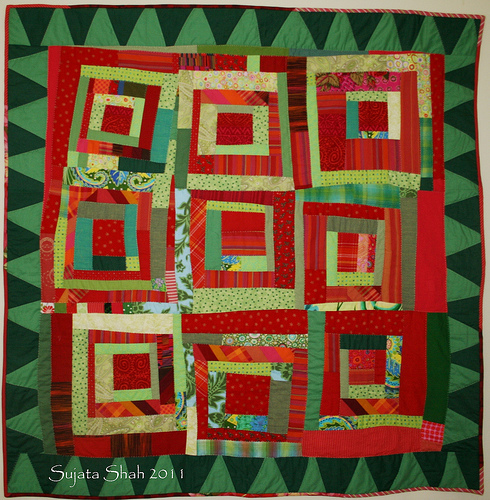 I loved learning more about Sujata and seeing her wonderful quilts. Once again I am so inspired by great use of color and pattern. Such fun! I love Sujata's quilts and her color sense is always exciting and unexpected. I am so happy to know her and we live 10 minutes away from each other! 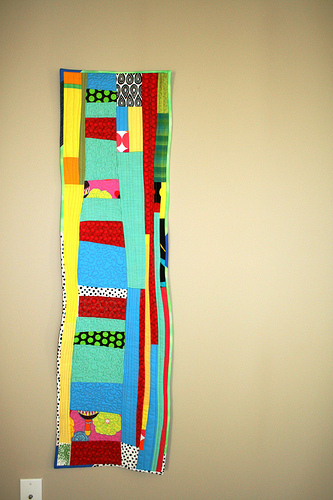 She is a very warm, lovely person, just like her quilts! I just adore the sunshiney house block. How beautiful would it be to have a bubbling brook right outside your front door (providing it didn't flood). Wonderful interview. I love that saying 'perfection is over rated'. I love what you have started! 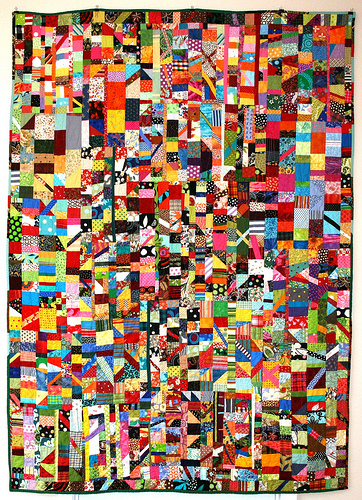 I have got to know many quilters more than I knew and some all together for the first time because of this Friday feature. It was a joy making your block. Oh how I wish you lived near by! Some day I am going to meeting you in person. I KNOW IT! 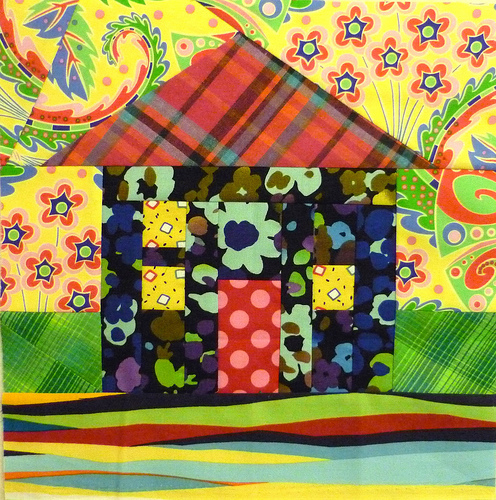 Love Sujata, love her quilts, love the house she built for you! Sujata is VERY inspiring. 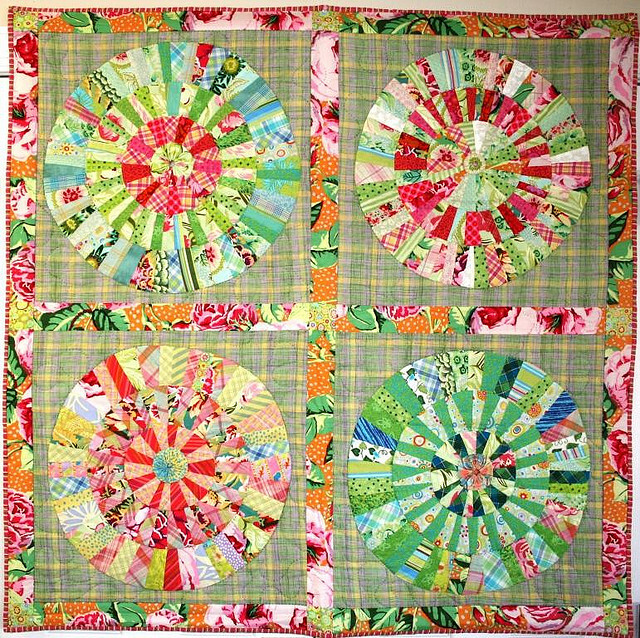 Always quilting up something Bright and Wonderful! She definitely knows you well! Jane's fabrics and a polka dot door!! Love it. 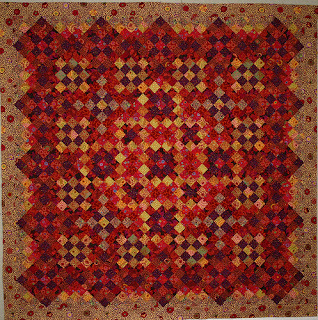 I completely agree with Sujata that hand quilting is soul soothing. Snap Crackle Pop an amasing house. 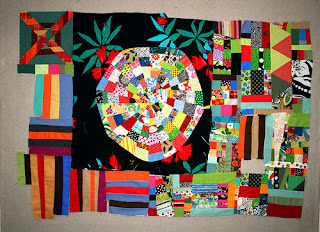 Amazing post and Sujata is an amazing quilter. A kindred spirit who's blog I'm been lurking around for a while. Thankyou for introducing her through your blog. Sujata inspires me like no other. Her color sense is unique and rich. I think it must be because of her background in India. I've also been fortunate to meet her in person and to get her suggestions on my projects. She is a beautiful person, inside and out! 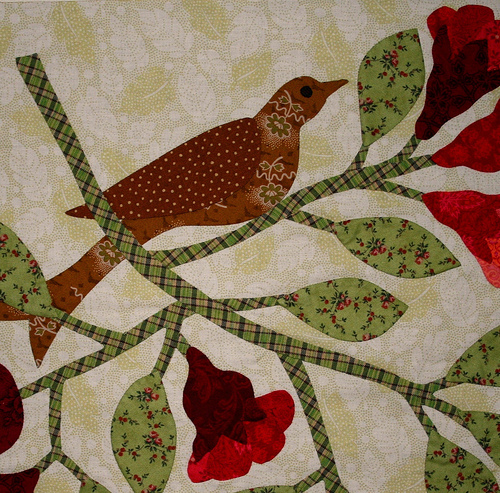 I am stunned by her quilts, I just love them - I'm popping over to start following her! That house block is fabulous! Wow, I've learned so much about Sujata from your post. 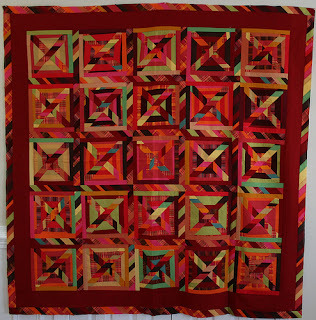 I've been reading her blog for a while now, and I LOVE her quilts and her color sense. Now I feel like I know her a little bit better. Thanks! Her house block for you is a ton of fun! Wonderful feature....I love Sujata's quilts. 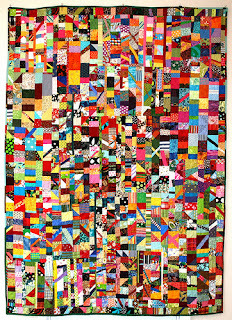 Great block Rachael...so full of colour and fun! 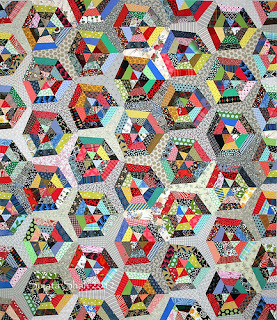 And another great interview with a quilter! Sujata is such a darling. great interview. another fun house block for you! 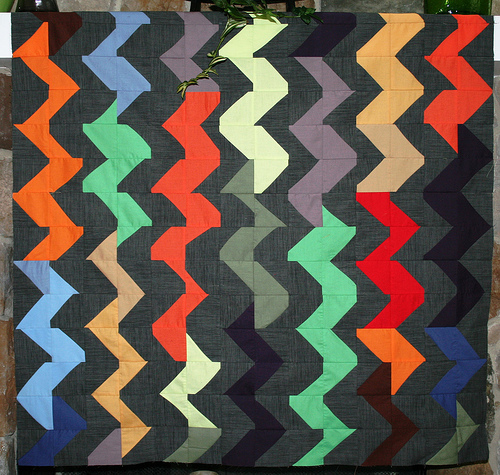 A very interesting interview and Sujata's blog features such colourful wonky designs. I love Sujata's colors and you did a great job with the post! Thanks for sharing it with us. what a lovely post on our friend, Sujata. Her work is incredible. I'm always inspired when I visit her blog. Her color sense is organic and beautiful. She is also an amazing Indian Cook! Her pantry is a thing of beauty and and food is delicious. Thanks for another wonderful Friendly Friday Feature!